Legacy 420 owner-operator Tim Barnhart. 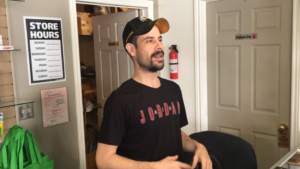 TYENDINAGA – Tim Barnhart is a man who wants to leave a legacy. 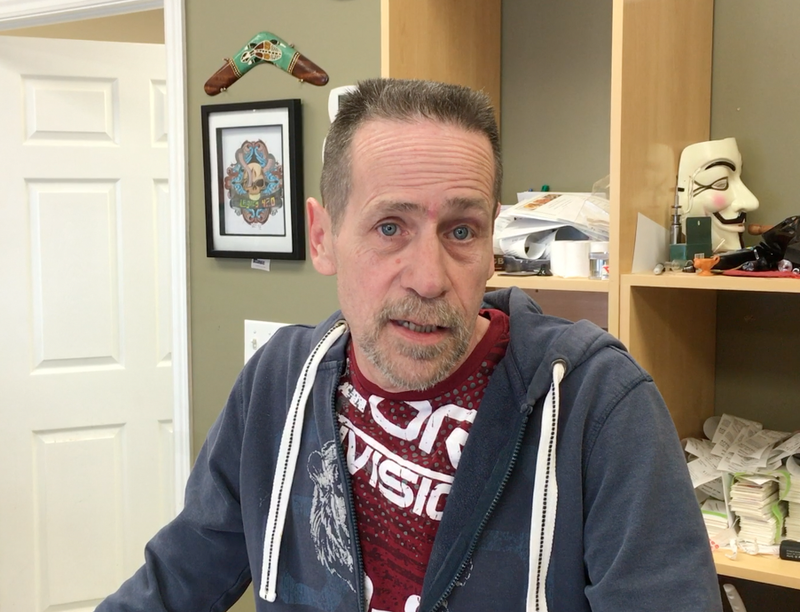 The 56-year-old Mohawk man from Tyendinaga is working on a plan to bring medical marijuana to the masses. 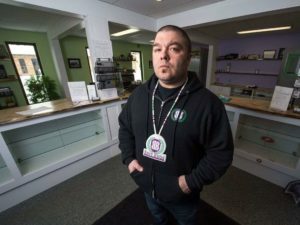 If he’s successful, that legacy will mean that native and non-native people will be able to access safe and high quality medical marijuana at dispensaries on reserves across Canada. 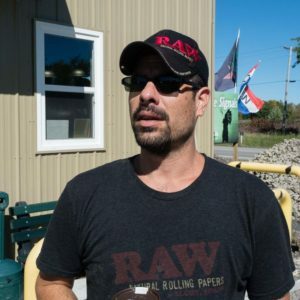 Barnhart is the owner/operator of Legacy 420, a medical marijuana dispensary in Tyendinaga Mohawk Territory, and he is at the forefront of a growing movement to decriminalize marijuana and make it available to all those who would benefit from its use. In recent years, there has been a growing consensus that medical marijuana can treat a wide range of chronic and acute ailments. Polls show that more than two thirds of Canadians support recreational marijuana legalization. But despite promises by Justin Trudeau in the most recent federal election that he would decriminalize Marijuana, possession of pot remains illegal, and Canada has a confusing maze of legal regulations and court decisions governing the production and consumption of medical marijuana. 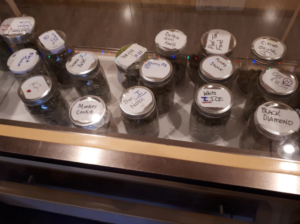 Barnhart’s store, (located at 5965 Old Hwy 2 in Tyendinaga) provides medical marijuana to anyone with a medical marijuana card or a note from their doctor. 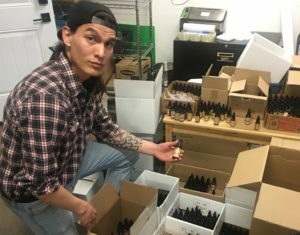 Barnhart sources his product from growers with federally approved medical marijuana licences, and subjects all of his products to tests with a portable mass spectrometer to ensure purity and consistency. 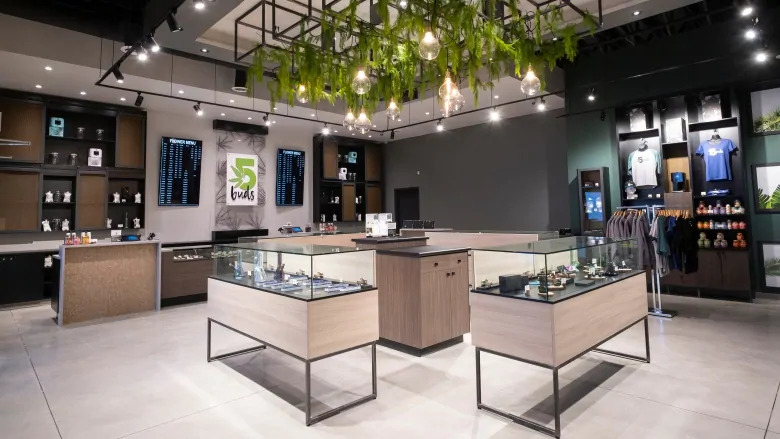 The edible products he provides follow the dosing recommendations of the Canadian government and are cross checked with the best practises of the state of Colorado, which is at the forefront of marijuana legalization in North America. “We are following every legality that’s out there” says Barnhart. 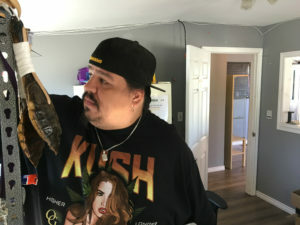 As an indigenous entrepreneur and businessman, Barnhart is working to build a network of medical marijuana outlets based on native reserves across Ontario. He believes that indigenous communities have a big role to play in the re-establishment of the plant as medicine, and he wants to make sure that native people aren’t cut out from the benefits of an industry on the brink of rapid expansion. 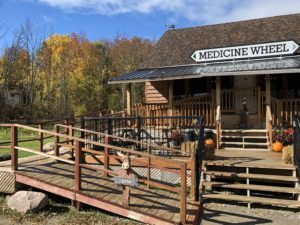 The fact that medical marijuana dispensaries already operate in a legal grey-zone is further complicated for Canadian authorities by questions of governance on Indian reservations, and the inherent right of indigenous peoples to grow, use and trade their medicines. Both legally and in real life, native reserves operate according to a different set of rules. 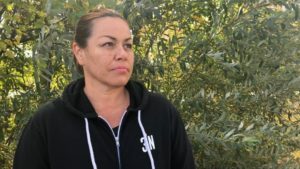 Irregardless of the Indian Act, many indigenous people “on reserve” consider themselves sovereign and only subject to their own laws and treaties. For the Mohawks in particular, that means upholding the Two Row Wampum, the original agreement which explicitly states that each people shall govern themselves according to their own laws and customs. 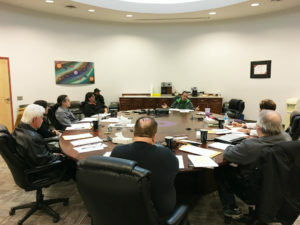 The well deserved reputation of the Mohawk Warriors of Tyendinaga for direct action in defence of Onkwehon:we jurisdiction provides a certain backing to Barnhart’s intention to keep Legacy 420 open, come what may. But Barnhart isn’t looking for conflict with the Tyendinaga OPP or Band Council. He has kept both authorities abreast of his actions and has provided them with reams of paperwork showing the legal and political justification for his business model. But the big question is about who is going to benefit from this new “green gold” rush. The regulations that the Harper government has put in place favour big corporations and pharmaceutical companies over smaller local producers. 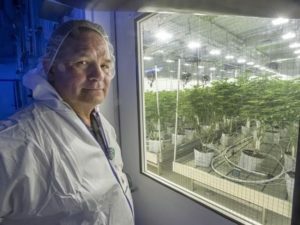 Already conservative politicians and establishment figureslike former Ontario Premier Ernie Eves and former Ontario Health Minister George Smitherman are heading up big money initiatives, while those criminalized under regressive anti-drug regimes – primarily Black and Indigenous people – are being deliberately kept out of the “legitimate” marijuana market. For his part, Barnhart envisions a future in which the marijuana industry can provide the positive benefits of marijuana to those in need in a safe, friendly, and accessible environment. 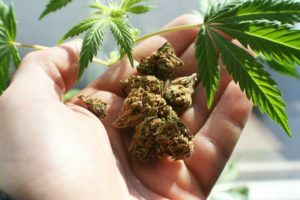 And if the economic benefits of marijuana can help to rebuild indigenous economies suffering from the criminalization of tobacco products and economic downturn, than so much the better. 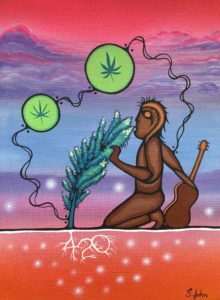 You can follow Legacy 420 on their Facebook page and check out their website at http://www.legacy420.com/. Their phone number is 613-969-1849. The full audio interview with Tim Barnhardt is available to Real People’s Media Patreon supporters. Become a Real Peoples Media supporter, and you’ll automatically get access to a variety of premium content.